Maintaining a steady growth Maharashtra State Co-operative (MSC) Bank handed over a Dividend Warrant of Rs 10 crore towards the share capital of the State Government. 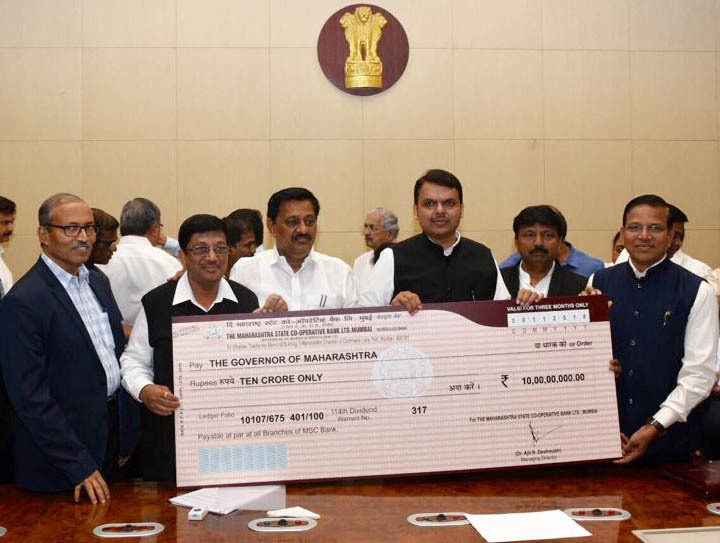 The cheque was handed over to Maharashtra Chief Minister Devendra Fadnavis by Vidyadhar Anaskar, Chairman of the administrative board of MSC Bank. The Cooperative Minister of Maharashtra Subhash Deshmukh was with the chief minister at the time of cheque handover. Full of praise Maharashtra Chief Minister Fadnavis thanked Maharashtra State Cooperative Bank for their contribution. Maharashtra Cooperative Minister Subhash Deshmukh broke this news through Facebook. Deshmukh wrote on his face book wall, “MSC Bank has handed over the dividend warrant of Rs 10 crore to State Chief Minister, Mr. Devendra Fadnavis. President of State Co-operative Bank, Shri Vidyadhar Anaskar, bank member Shri. A.L. 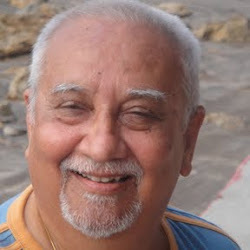 Mahagaonkar, Shri. 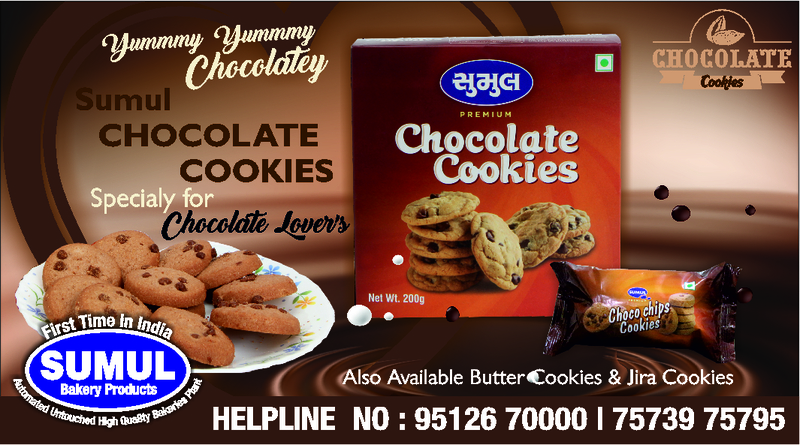 Sanjay Bhende, Managing Director Dr. Ajit Deshmukh were present”. Earlier, Maharashtra State Cooperative Bank (MSCB) had contributed a cheque of Rs 4 crore towards Chhatrapati Shivaji Maharaj Farmer Sanman Yojana in the state. Readers would recall that last year in December, the apex body of co-op banks in the state, Maharashtra State Cooperative (MSC) Bank opened a new branch at Golani Market in Jalgaon which was inaugurated by Maharashtra Revenue Minister Chandrakant Patil. Doing a good job Anaskar and his team is also working on plans to revive the ailing DCCBs of state. One of the plan is to make them business correspondents of the MSC Bank. MSC Bank is having a business mix of Rs 32,000 crore and having a reserve fund of about Rs 3700 crore. In last FY 2017-18 bank earned a net profit of Rs 245 crore and having a Net NPA 2.4%. The MSC Bank is an apex body for 31 DCCBs which have about 3,667 branches, with a third tier of around 21,214 Primary Agriculture Credit Societies (PACS) which directly lend to farmers and the rural population.